As I mentioned on Monday, the 23.1 million greenhouse gas (GHG) allowances (current-vintage) sold at the cap-and-trade auction on Monday were all consigned to auction by utility companies. The $233 million generated by that sale must now be used by those utilities to the benefit of ratepayers. Last Friday, the California Public Utilities Commission (CPUC) issued its draft ruling on how to use that revenue. (See the press release and the ruling.) According to ClimateWire [warning: paywall], 85% of that revenue could go to ratepayers, with a “climate dividend” estimated at $60 per customer per year. ClimateWire also quoted the support of California Air Resources Board Chairwoman Mary Nichols: “The basic outline of [the Commission’s] proposal looks very good to us.” NRDC also voiced support for the draft ruling. After the jump, I detail the main parts of that ruling. 1. Compensate emissions-intensive and trade-exposed entities. As a preliminary step, some revenue is set aside for customer education, outreach and administrative expenses. Then revenue is given to certain industries designated as emissions-intensive and trade-exposed. In other words, industries unable to pass the cost of higher electricity rates through to their customers. The methodology used to identify these industries intentionally mimics what CARB has already done to distribute free allowances in the cap-and-trade program. Thus, industry is compensated based on output and an average emissions-per-output benchmark that allows the Commission to preserve some of the carbon price signal in industry rates. More efficient industry entities will gain more compared to their less efficient peers. The Commission estimates the impact of California’s cap-and-trade program on average rates to be between 2% and 9%, depending primarily on the assumed market price for allowances. At the most recent auction price of $10.09, we are at the low end of that estimate. 2. Offset rate impacts for small businesses. Here, small businesses are defined as non-residential using General Service or Agricultural rates with less than 20kW of electricity demand nine out of the past twelve months. For “administrative simplicity,” the Commission is proposing a modified volumetric return, where the amount given to small business will decrease over time. This will, as the Commission admits, “largely mute the carbon price signal” in 2013–2014, but less so in later years of the program. 3. Give a volumetric rate adjustment to upper-tier residential rates to neutralize rate impacts of the cap-and-trade program. In what may prove to be the most controversial element of the Commission’s proposal, it will require volumetric rebates to upper-tier residential customers in the amount equal to the cap-and-trade costs embedded in those upper-tier rates. In California’s regulated electric market, residential consumers are charged different amounts for electricity based on both volume of usage and income level. These are “tiers.” (I am admittedly simplifying here.) The lowest (cheapest) tiers are meant for low-income residential consumers and are, in most markets, protected from rate increases. Thus utilities generally cannot pass through their costs of the cap-and-trade program to the lowest tier customers. As a result, upper tiers reflect all of the cost of cap-and-trade. The Commission believes that, given limitations in SB 695, it must attempt to correct for the disproportionate burden placed on upper-tier (read: higher income) consumers due to the cap-and-trade program. Thus the Commission directs utilities to pay upper-tier residences first, to alleviate this disproportionate burden. I said that this might be controversial because the result is a lower dividend for all consumers (including low-income consumers) in step 4, below, while providing more rebate to upper-income consumers than would otherwise be the case. 4. Distribute all remaining revenue to residential accounts as a semi-annual, on-bill credit (“dividend”). This credit would not be volumetric but presumably an equal credit to all residential accounts. All remaining revenue is to be distributed to residential accounts by giving them an on-bill credit every six months. Because it is not volumetric, it will preserve the carbon price signal in electricity rates. The Commission is balancing the desire to communicate to customers that this rebate is unrelated to their total electricity bill with the need to make it easy for utilities to implement the dividend. So the dividend will appear as a separate line item on the consumer’s bill. But because it only appears twice a year, it is presumably difficult to confuse with the underlying electricity rates. And, according to the utilities, modifying electric bills is easier than mailing out separate dividend checks. 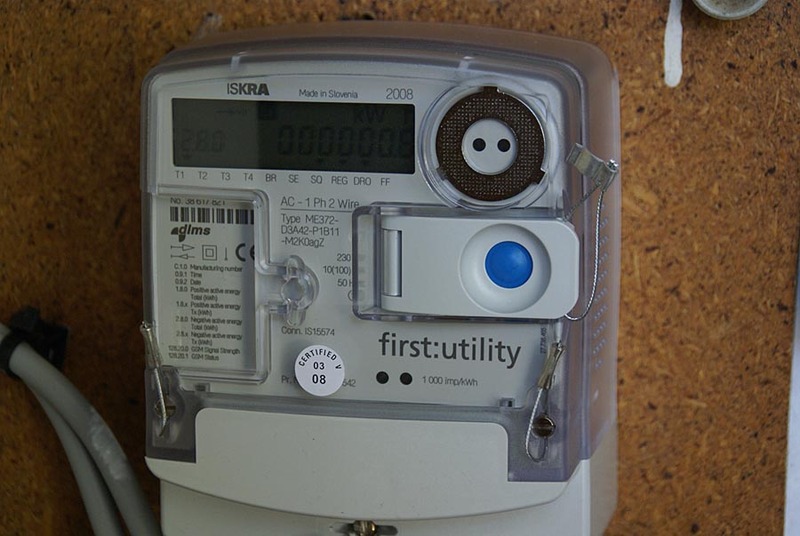 There are some modifications to allow net metering customers to receive a check in the event that they are unable to benefit from a bill credit. And the Commission plans to deal with instances of master-meters (where not each household has a distinct meter). It is unclear how the Commission will deal with households that move out of a service area before they can take advantage of the bill credit. Regrettable that you failed to note that the CPUC action was at the direction of the Legislature pursuant to Senate Bill 1018 Chapter 39 Statutes of 2012 (Section 110 added Public Utilities Code Section 748.5). There was considerable discussion–and pressure–to rebate funds to all customer classes based on usage. That notion was rejected in favor of targeted payments to residential and small business customers. When is the next recall election when this hair bain plan falls flat on hits face.